Boxes of Purpose is a campaign with the mission of providing children in foster care with Christmas Eve Fun Boxes. Provide a normative experience of holiday joy and fun for children who are in foster care. Demonstrate to children in foster care that we (the community) are walking this journey with them. They are not alone and we care. Provide a small but tangible means of support to the heroes who are foster parents. Raise awareness about foster care and all that it entails. 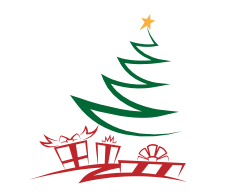 It is our vision to provide every child in foster care in West Virginia with a Christmas Eve box of fun while creating an opportunity for West Virginians, communities, business entities, and social service agencies to connect together through a united purpose. In the beginning, we had originally partnered with 3 agencies but due to the overwhelming generosity of our fellow West Virginians, we were able to increase our partnering agencies. Together, we will be serving children in foster care who reside in all 55 WV counties! It is our goal to increase the number of partner agencies until every child in foster care in WV is served through the Boxes With A Purpose Campaign.